5 Bedroom Terraced House For Sale in London for Guide Price £2,250,000. A stunning five bedroom Victorian family home having been meticulously extended by award winning architects and refurbished to a high standard by the current owner. The beautifully finished accommodation is laid out over five floors and comprises briefly; entrance hall, casement sliding door opening into a double reception room with contemporary gas fireplace and sun room overlooking the garden. On the natural lower ground floor is a modern, open-plan kitchen/dining room with full width, bi-folding doors out to the 54' south-facing, rear garden and decked area. Additionally, there is a laundry, cloakroom, and playroom with separate access from the front garden. Upstairs there is an impressive master bedroom with dressing room and stunning en suite bathroom, a guest bedroom with en suite shower room and three further bedrooms with a family bathroom. 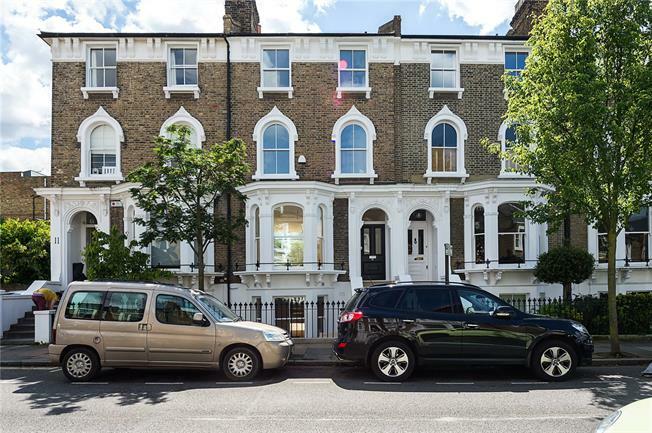 Fitzwilliam Road is a quiet residential street located in the heart of Clapham Old Town. Clapham Old Town offers various restaurants including the Michelin star rated Trinity, numerous bars, boutiques, cinema, supermarket and gym. Clapham Common is the nearest underground station and there are numerous bus stops running east and west and into Central London. The area further benefits from an excellent selection of local state and private schools including nearby Eaton House, Parkgate School, Thomas’s and L'école de Wix Lycée français.